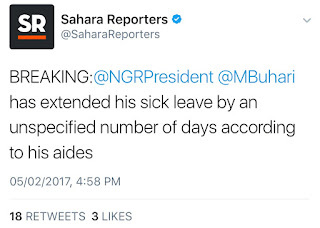 He has written to the national house of assembly to inform them of his decision to extend his leave in order to receive and and complete the results of a series of tests recommended by his doctors. 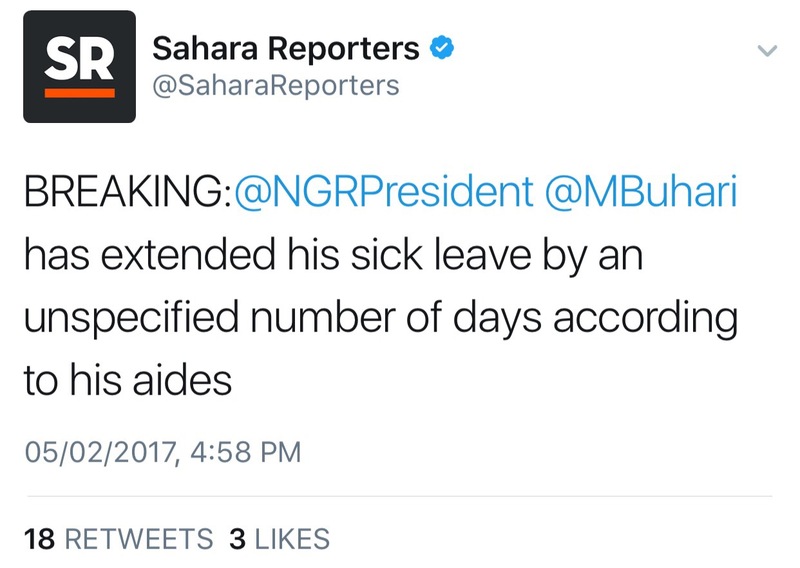 He was scheduled to return to the country today, but was advised to complete his treatment before returning to the country. The letter has been sent to the National assembly. We wish the president quick recovery. .